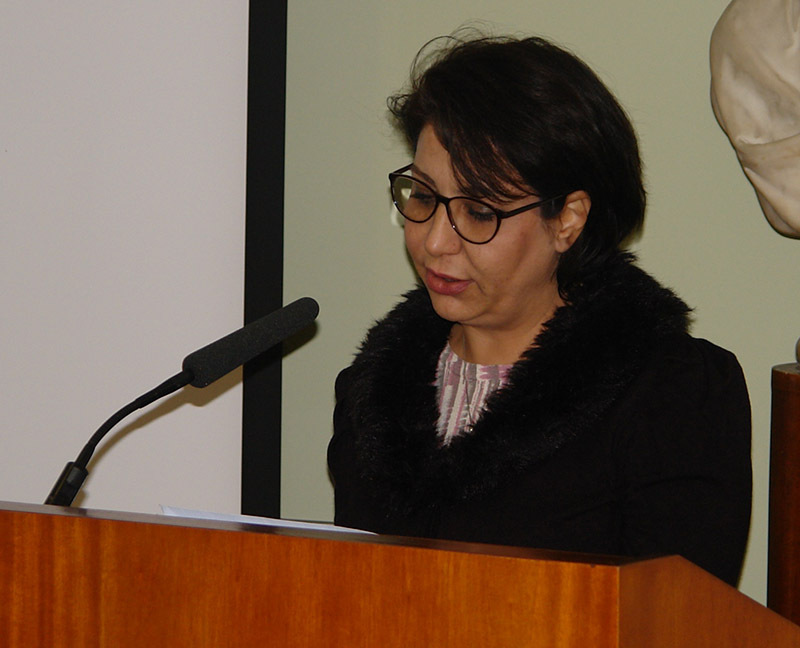 On Tuesday 17th November we welcomed Azadeh Fatehrad to lecture on the poet, Nizami Ganjavi. 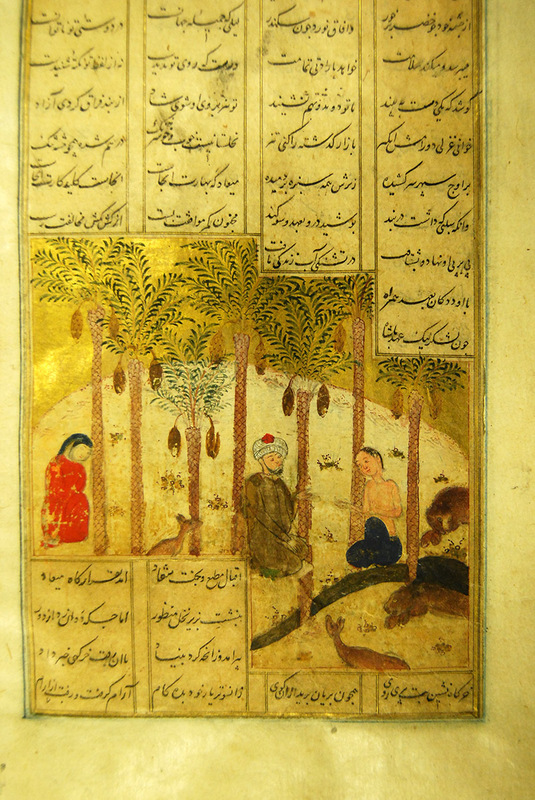 She started by giving an introduction to the poet’s life and work and, in particular, his five epic poems, the Quinary (Panj Ganj in Persian or Khamsa in Arabic). 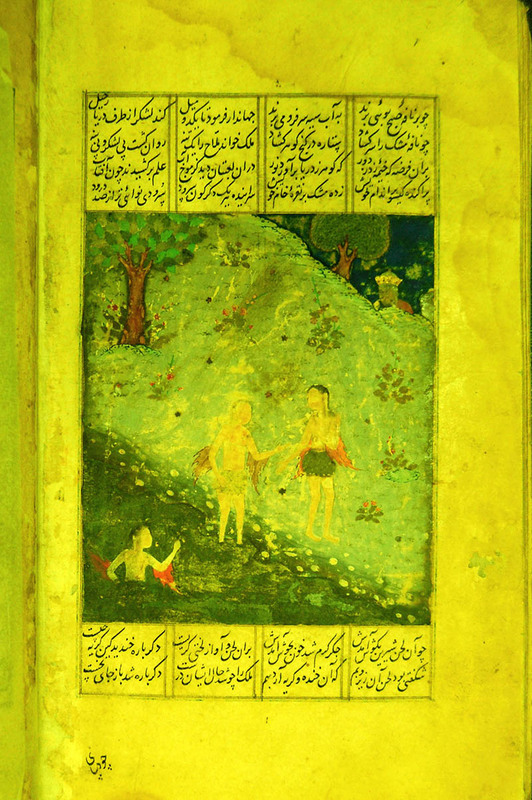 This work contains the stories Makhzan al-Asrar (The Treasury of Mysteries), the epic romances of Khosrow and Shirin and Layla and Majnun, the Eskandar Nameh (Story of Alexander), and the Haft Paykar (The Seven Beauties). In this miniature, Alexander is seen observing bathing women from his hiding place behind a wall. Azadeh pondered on the pleasure that Alexander would have known in being able to see this sight, but then also considered the difficulties and shame that might occur when someone knows they are being watched or are caught as the watcher. As she was speaking I also wondered about whether Nizami was putting himself in the place of Alexander – a good writer needs to be able to observe from the outside and describe the scene in a way that will give pleasure to others. 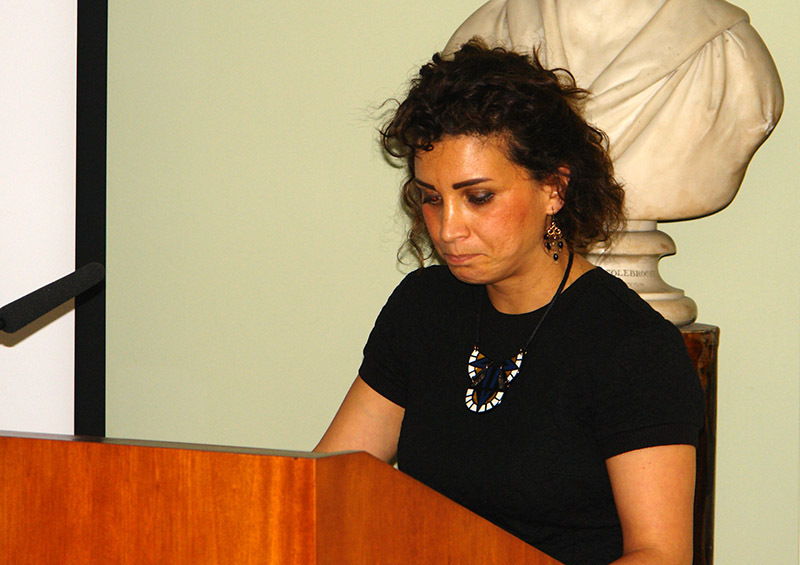 Following Nizami’s talk, Ned Khalighi, an Iranian poet, read us part of Nizami’s epic. It was interesting to be able to hear the poetic structure of rhyming couplets even though I could not understand the language. Please do take the opportunity of coming into the Reading Room to see these beautiful manuscripts. Please also come to our December lectures. The next Fresh Perspectives lecture will be earlier in the month than usual on Tuesday 8th December (and different to advertised in the programme) when John Earle from the University of Plymouth will lecture on “British Vice-Consul and Local Hero: Nicholas Loney and a Sweeter Life on a 19th Century Philippine Island”. Our next lecture in the main series will be on Thursday 10th December when Kaveh Bakhtiar will lecture on “The British Mosque: fragments of an alternative architecture”.